There are many activities and entertainment going on for the 2 days bazaar. Various aspiring music artistes namely Djezna’s Stalker, The Soundtrack, Joanne and Julia, Destination: Uptown, Isaac Ho and the local jazz quartet, SKAZZ Band are going to perform there too. Alright! Here I have more good news for you. The first lucky 800 shoppers will get to walk away with special goodie bags consisting of homemade skincare products, cosmetics, accessories and more. So early birds get the worm. Anyone here is crazy about Korean skincare or anything about Korean? DocLab, the latest skincare brand originated from Korea specializing in face ampoules will be making its debut in the Malaysian at Markets 16. Listen!!! 3,000 free face ampoules will be given away to the public during the two-day event. OOTDians! You are going to love this, when you are at the Markets by Jaya One this weekend don’t forget upload a photo of your outfit of the day with the hashtags #Markets16, #MarketsOOTD and #theschoolmy on your Instagram. Because there is a #OOTD contest and you stand a chance to win one unit of 1OTT satellite TV device worth approximately RM450. Alright! 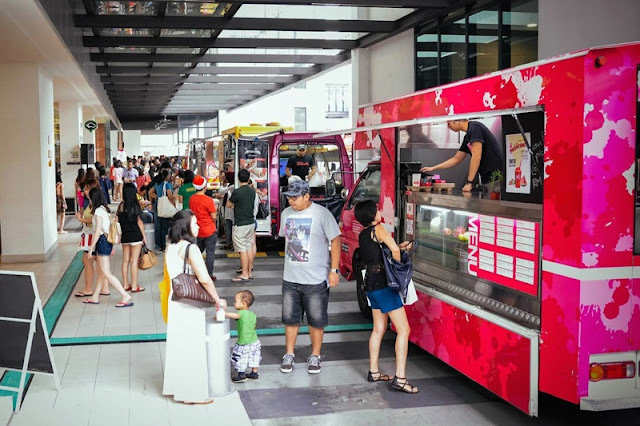 Look out for food trucks and stalls for their special homemade desserts, pies, gourmet burgers to non-Halal food. There are 25 food vendors. It’s going to be a weekend of fun, music, shopping, food and artsy vibes under one roof. I will be there on Sunday. You?